the music of Deux Sans Frontières knows no boundaries. Mark and Mike are delighted to announce they've released their first joint album, ten tracks of beautiful balfolk music. This recording delivers a great sample of the range of dance music you can enjoy at their live performances. Deux Sans Frontières are hugely grateful to Richard Jones (Climax Blues Band, Climax Ceili Band etc.) for skilfully capturing the unique beauty and energy of their sound. Contact us direct here to arrange delivery of your own copy of the CD for just £12 (UK) €15 (Europe) including p&p. 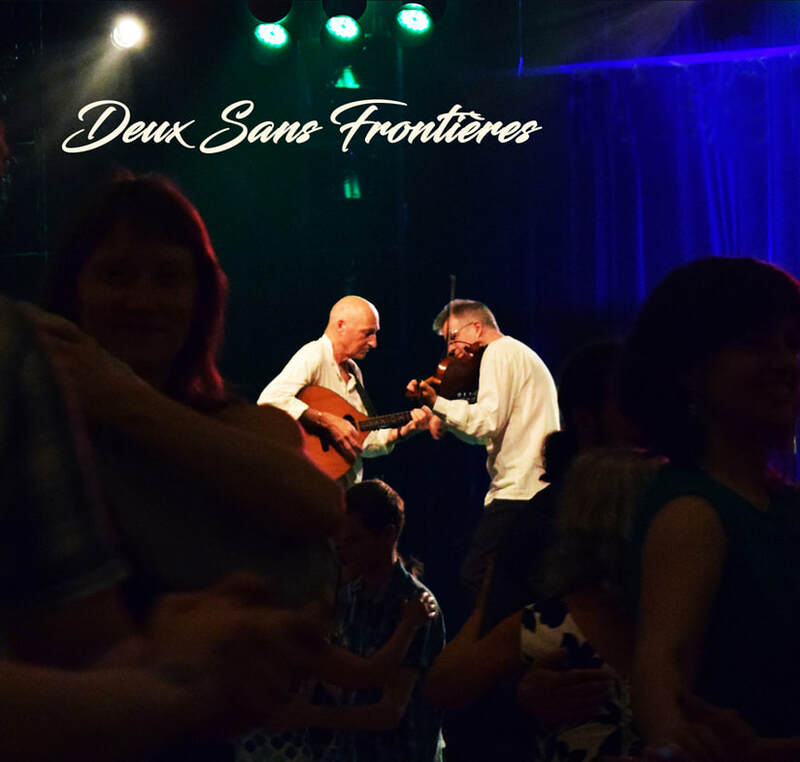 Deux Sans Frontières are already taking bookings for festivals and bals into 2019 (please see Gig list). Do contact us if you would like to check availability for your special events. Mike and Mark have played together for some years as a duo and in other collaborations. They specialise in the dance music of Brittany and central France, and are also accomplished musicians in concert and informal settings.